The 2019 Canadian National Championship is just a few days away! The popular tourist city of Niagara Falls will host the largest and most prestigious kickboxing championship in Canada! We are excited with over 200 athletes participating from 8 provinces making this largest and most representative National Championship to date! The 2019 Nationals will be observed by important stakeholders including government representative, media and representatives of professional combative leagues. The organizing committee for the 2019 Nationals will ensure that all policies and procedures will be carefully followed . Please review the following message for important reminders and download the following documents for details on the Nationals. All athletes and coaches must attend the registration session(s) on Saturday between 9 am – 11am and/or Sunday between 8 am – 10am. Coaches and Athletes will be provideD their ID Credentials (wrist bands) at these times only. Coaches must provide their 2019 Coaching Card and Athletes must be on the Bout List. COACHING CREDENTIALS WILL NOT BE PROVIDED OUTSIDE OF THIS TIME PERIOD. As Niagara Falls is a popular tourist destination we are permitting all athletes/coaches and clubs to book their own accommodations to suit their budgets. All hotels are within a short walk of the Convention Center. The Scotia Bank Convention Center is a beautiful location for our National Championship. There are specific areas for warm up and the theatre has capacity of over 1000 spectators. Please respect the facility so that we can demonstrate the positive culture of our sport and the kickboxing community across Canada. 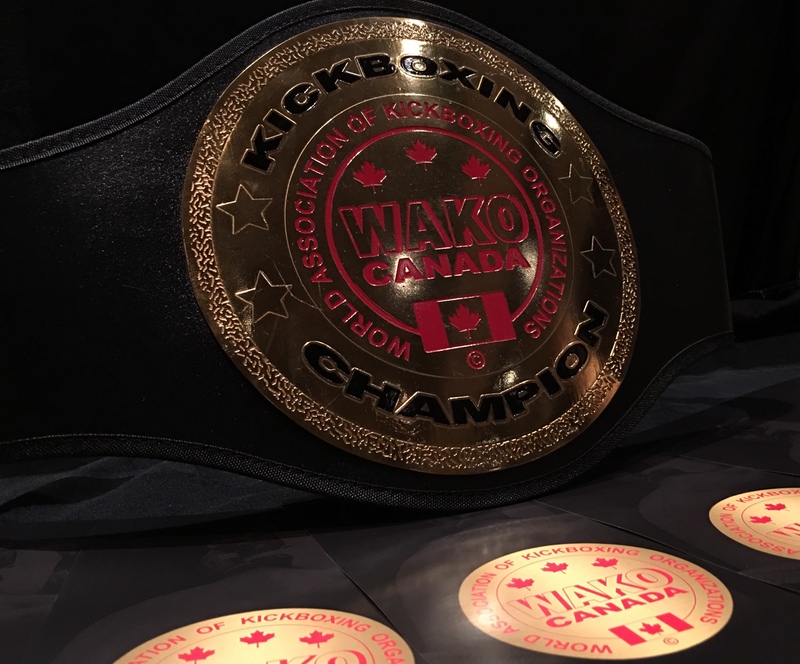 All Coaches must be in possession of the 2019 WAKO Canada Coaching cards to be permitted to in the athlete corner (and warm up room) for any participant at the tournament. As per our policies, to be eligible for your Coaching Card persons from PSO provinces must have completed the Level I Course, registered with WAKO Canada and submitted a Vulnerability Sector Police Screen. Coaches from non-PSO provinces are just required to complete their individual membership and submit their police check. PLEASE ENSURE THAT THIS RULE IS FOLLOWED. ANYONE THAT DOES NOT FOLLOW THIS RULE WILL BE REMOVED FROM THE VENUE AND WILL RISK THEIR ATHLETE BEING DISQUALIFIED. All Coaches must have athletic apparel on to be in the corner of any athlete. Jeans, tank tops, shorts, hats or slacks will not be permitted in the corner. All athletes must be in possession of regulation headgear, shin/instep, mouth-guards, and athletic support. Only cloth hand-wraps are permitted. Please review the rules for shorts (K1 and Low Kick). Only gloves will be provided to athletes. Only athletes and Carded coaches are permitted in the warm up areas. This area will be regularly checked by the Event Staff. If non-coaches or athletes are found in the warm up rooms they will be requested to leave the venue completely. Please be respectful for all teams and clubs participating at the tournament. A mandatory Coaches meeting will be held at 11:45 am on Saturday March 2nd. Attendance will be taken and one representative from each club (head coach) will be required to attend this meeting. Final instructions and a review of the brief overview of the rules will be addressed. There will be bout sheets in the warm up room, the gloving table and one package will be provided to each club. Athletes must be in the warm up area (beside the ring/tatami floor) one bout before their actual bout. We have a number of bouts over the weekend and in the interest of a smooth championship we will require every team to follow this ‘ON DECK’ order. Once an athlete is called into the ring they will have 60 seconds to be ready otherwise they will be disqualified. Athletes must enter the ring WITHOUT their gloves on. The referee will inspect their wraps before they are gloved up. c. All Bouts (Tatami and Ring) will use cumulative points from round 1 – 3. WAKO Canada demands the highest standard for sportsmanship and ethical conduct for all athletes, coaches and all spectators. Our association has a zero-tolerance for any behaviour that is deemed offensive or inappropriate towards any athlete, coach, spectator or official. Any such behaviour will not be tolerated and the person will be removed from the tournament by event security. If a coach wishes to protest a decision they must approach the Chief Official with decorum with a Protest Fee of $200 to file a protest. We wish to maintain a positive environment for all involoved in our tournament. Please review the following documents and ensure you are following any specific instructions. We are excited to welcome every athlete, coach, and fan that will be coming to Niagara Falls to be a part of the 2019 WAKO Canadian National Championship.